When a person stands tall with their head facing forward in the correct position and back straight they naturally look more confident and healthy, because this reflects good health and good posture. Apart from looking unattractive, bad posture can also lead to serious back and neck injuries and problems later on in life because the muscles, ligaments & discs are under extra stress when the spine is not in proper alignment. Ask yourself, do you think you have good posture? Do you think you can recognise the signs of poor posture in yourself? Try standing how you would normally, then try looking in the mirror, or ask a friend to take a picture of your whole body from your side profile. Relax and have a good look from head to toes. Starting from the head down, check to see if your head is poked forward, do you have a slight hunch or is your head leaning to one side, or shoulders drooping forward or too far back. Look to see whether one shoulder is higher than the other. From the side, tummy sticking out, or bottom sticking out. You may find you have your knees touching, or flat feet, or that one hip is higher than the other. Any extremes of posture can be improved by using chiropractic treatment, the correct exercise program, and lifestyle changes. There are basically three positions, in which to consider improving your posture:- lying, sitting and standing and walking. Lying – Fist things first – Your bed must be correct. Too soft, or too hard can cause poor sleeping posture and result in waking with pain. Sleeping on your tummy can also cause serious problems to both your neck and lower back. A good, well supporting pillow of the correct size for you is also essential. Our bodies heal during sleep, so if your rest is poor, your body will be slow to heal, giving rise to chronic pain syndromes. Sitting. Both at home, at school or in work and in your car, all your seating should be appropriate and comfortable. Lumbar support is essential when seated for long periods, and get up to take regular walking breaks to avoid sustained postural positions. If at work, instead of sending an email to a colleague, walk to their desk, walk to the café on your lunch, or so some desk exercises. Standing or walking – Practice standing with your back to the wall and you should notice whether your shoulders and head touch the wall. Head retraction exercises can help with the poked head posture. Shoulder and upper back strengthening will help to correct rounded shoulders. If your spinal joints are working poorly or fixed, it will be extremely difficult to get good changes with exercise alone. Various wedges can help with seated posture problems. A new, well-designed, adjustable chair is the best option. Orthotics foot insoles can help with foot problems, combined with chiropractic spinal manipulation would be a great help at the outset when trying to improve your posture. Correct posture when lifting anything is very important to prevent injury. Never lift a weight, which is too heavy for your strength, and always bend your knees and keep the object as close to your body as possible. 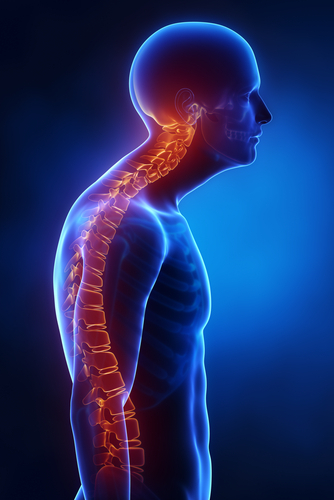 If you would like help and advice contact us, we have qualified doctors of chiropractic who can evaluate and provide the best treatment plan to help correct your posture.